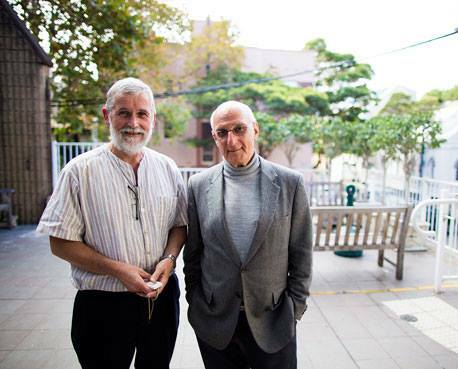 One of the high points of our semester was the visit to our campus by world famous Australian novelist David Malouf. Thank you David for giving our students so much of your valuable time! Indeed, in addition to the excitement of having David Malouf with us, It has been quite a journey in these last ten weeks, but it has been fascinating and enjoyable and I am looking forward immensely to seeing the fruits of your labours in the Transmedia Vlogs which will hit our screens next week. Write a letter to David Malouf telling him what you got out of his lecture last week. Write a letter to Marita (in Camille’s Bread) explaining to her why her life is full of promise despite her difficult circumstances. Write a short passage from the perspective of Camille about what she really thinks about Stephen. Create a mini digital resource kit for either Margaret Atwood or Carol Ann Duffy. Take a single line from a poem by Atwood or Duffy and create your own poem on a feminist theme. Find out why Seamus Heaney was so obsessed with mummified bodies from the Irish peat bogs: present a gallery of pictures of such bodies with quotations from Heaney’s poem illustrating his reaction to these dried corpses. Write a letter to David Malouf telling him what you enjoyed most about his conversation with you last week. What is your personal view about the significance of the epigram from Blake’s Four Zoas “Whether this is Jerusalem of Babylon We Know Not”? Create a digital resource kit for David Malouf. ← Week 9- week before our well-earned break!